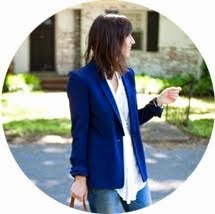 I'm so excited that this month's Bloggers Who Budget is Denim for Less ($75 or under) because these Gap Destructed Boyfriend Jeans deserve some spotlight. I snagged my pair many moons ago for under $50, but there are more styles in store and online to get excited about. I especially love this pair in pacific wash and who wouldn't want a pair in white for summer? If you aren't into the ripped look but love the shape, than these are for you. I have worn mine countless times, but you can see them in action with a blazer and sandals or here with a sweater and boots. All for under $75. Cannot beat it. 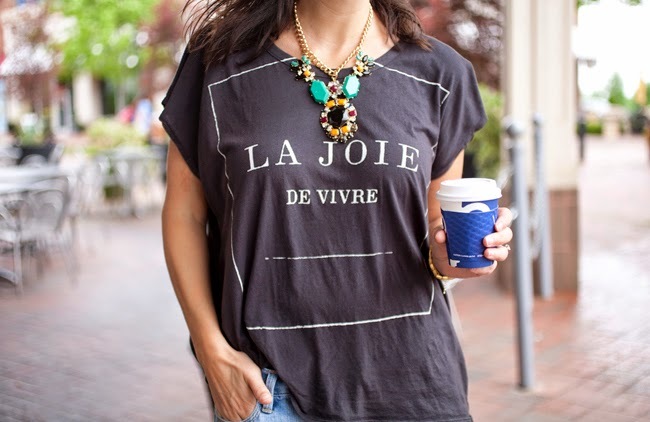 This Sundry La Joie Tee is one of my new favorites. I scooped this baby up from Denim House in Charlotte and it has been in heavy rotation ever since. It's the softest lil tee in my drawer and I plan on wearing it all summer. The fabulous necklace is the Prima donna Cannes Chain Link Pendant. 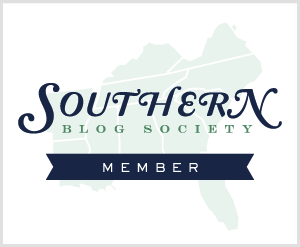 Lucky for me it was in my Lucky FABB swag bag, but you can snag it for just $24.99. Super steal. Oh, and the various caffeinated beverages in almost every photo... Working until 3am the night before feels rough the next day. Love me a great pair of shades. 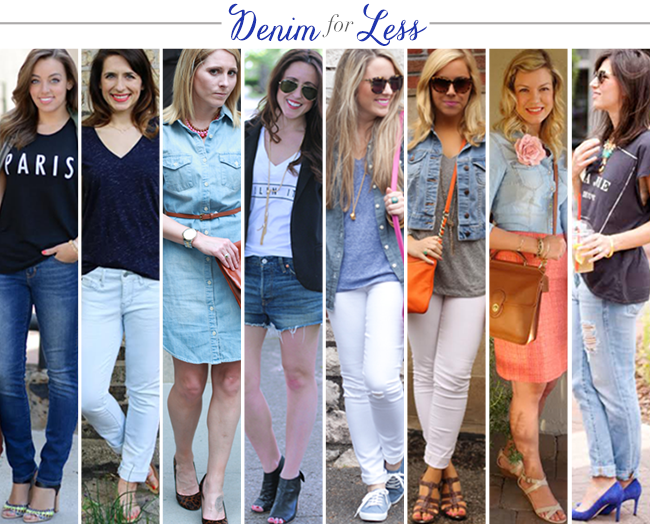 Be sure to peep all the other #BloggersWhoBudget #DenimForLess looks below! You know I love those jeans but I need to steal that t-shirt from you. So perfect. This shirt is oh-so-good. And Gap is totall killing it these days with their pieces. Love the look! Loving this laid back look. 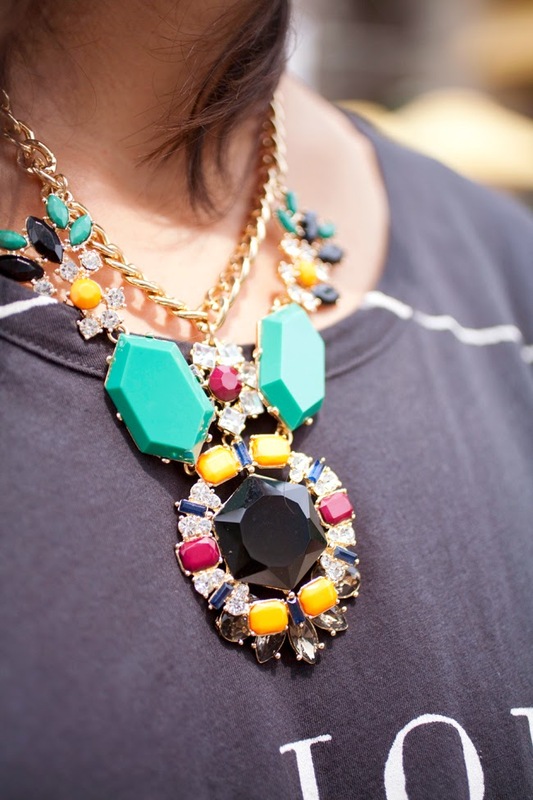 Love a great statement necklace with a slouchy tee. Too good! I'm LOVING that top! And paired with your boyfriend jeans and blue pumps you look fab! Love this look! So chic but still so comfy! You look fabulous! Classic look! You look so comfy! I LOVE this entire outfit! 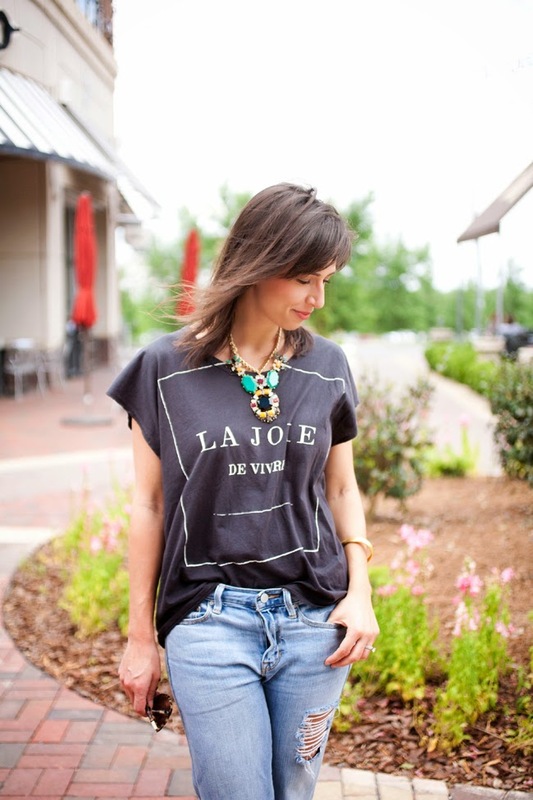 What a cute way to dress up boyfriend jeans, and that tee is the cutest thing ever. High five, lady. Love this shirt and those jeans. Can't believe they are so affordable! 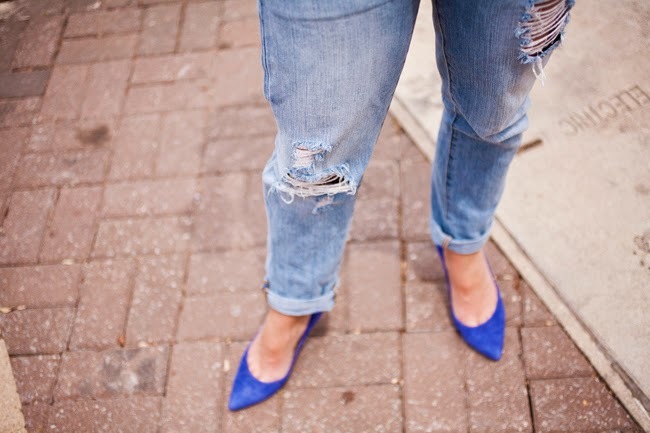 doesn't get much better than beautifully lived in, distressed jeans! Looking lovely! 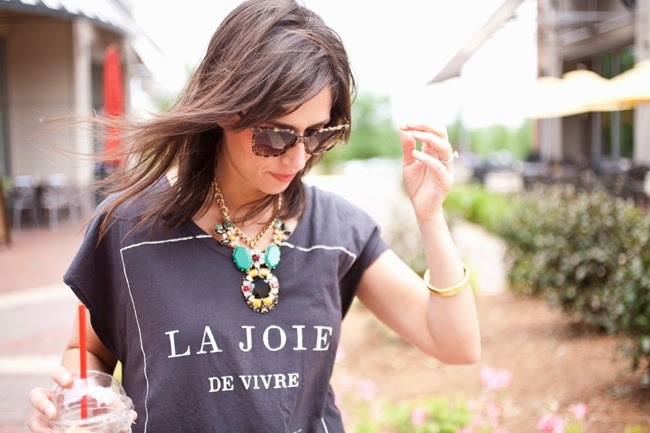 Enter my $50 J.Crew giveaway!